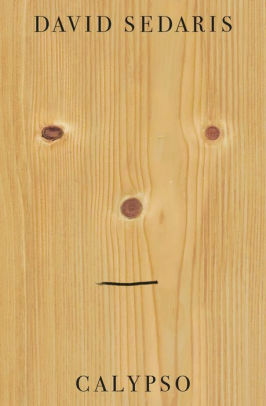 Calypso by David Sedaris is a very highly recommended collection of 21 darkly humorous, yet touching, essays. This may be the best book by Sedaris yet. Company Man: One of perks to middle age is that, "with luck, you'll acquire a guest room." Now We Are Five: How David and his siblings are handling the suicide of their youngest sister, Tiffany. Also buying a beach house he and Hugh named the Sea Section. Little Guy: Reflections on being a short man. "I’m not one of those short men who feels he got shafted." Stepping Out: David discusses his Fitbit obsession. A House Divided: Reflections on class, and Tiffany embracing poverty as an accomplishment. The Perfect Fit: "I’m not sure how it is in small families, but in large ones relationships tend to shift over time. You might be best friends with one brother or sister, then two years later it might be someone else. Then it’s likely to change again, and again after that." And shopping with his sisters. Leviathan: Sedaris contemplates how people become crazy in two ways: animals and diet, and he discusses feeding the wild turtles near their beach house. Your English Is So Good: Using a language instruction course doesn't necessarily help you with context or commonly used phrases. Calypso: America and the spread of information through TV news, along with pictures in wood grain and health concerns, including his desire to feed his tumor to a turtle. A Modest Proposal: Gay marriage and proposing to Hugh. The Silent Treatment: His father's inability to have meaningful discussions and growing up with him. Untamed: A wild fox they named Carol. The One(s) Who Got Away: David asks Hugh about previous partners. Sorry: "Whenever I doubt the wisdom of buying a beach house, all I have to do is play a round of Sorry! and it all seems worth it." 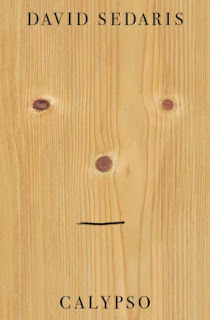 Boo-Hooey: Sedaris can’t stand people talking about ghosts, but he does believe they can visit you in your dreams. "Who are you hanging out with, for God’s sake?" someone might ask. "Camp counselors?" A Number of Reasons I’ve Been Depressed Lately: A self-explanatory list. Why Aren’t You Laughing? : Sedaris discusses his mother's alcoholism. I’m Still Standing: Having embarrassing accidents in public on airplanes. And While You’re Up There, Check on My Prostate: A discussion of what angry drivers yell at other drivers. The Comey Memo: Jim Comey was staying at an area beach house and their father's declining abilities. Disclosure: My review copy was courtesy of Little, Brown and Company via Netgalley.